After my last round of mining, I thought it was time to explore above ground a bit more. 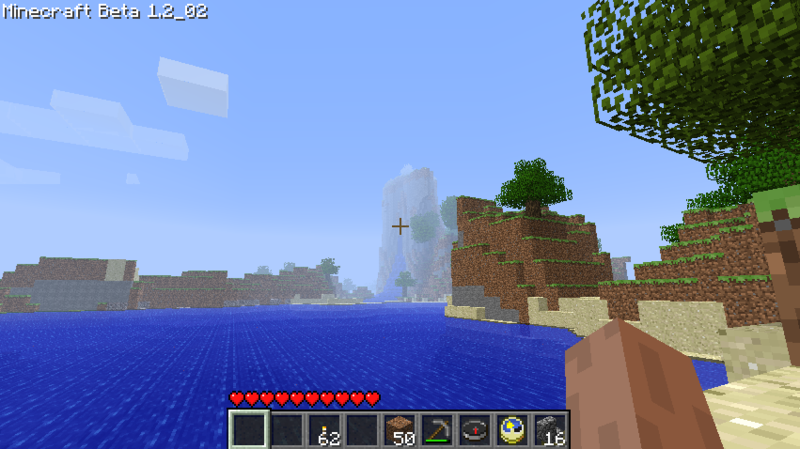 (Especially since I now had a compass, so I knew I wouldn’t get lost!) 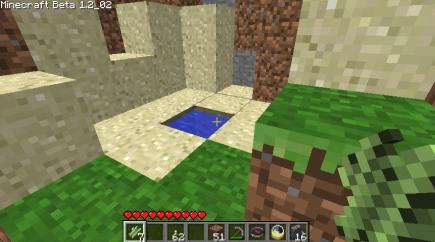 When working on the rooftop, I’d gotten curious about what was north of the house, past the arch and body of water that I’m on the edge of. 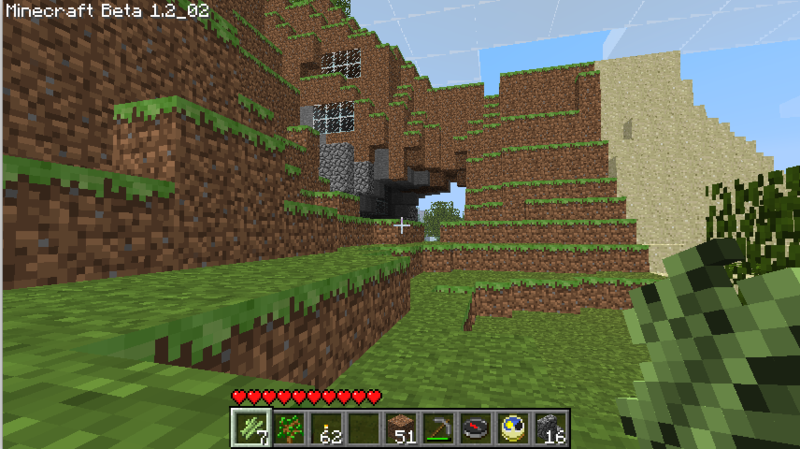 Looking up at my house from outside. 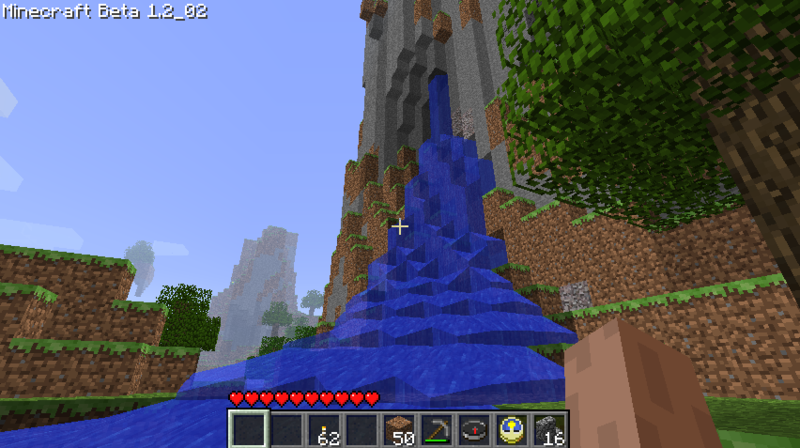 After going a bit further, I could see the spire with a waterfall streaming down from it that had caught my eye earlier: here’s a dim view of it. 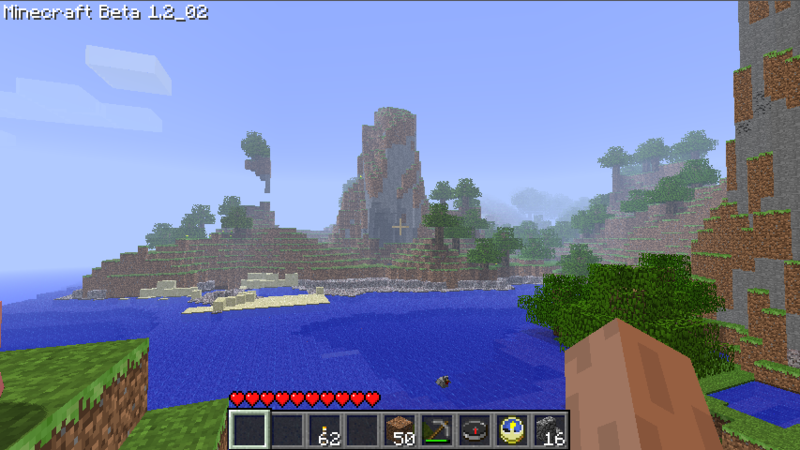 I love the spit of land in the foreground, too, with the hill and the single tree on top of it. 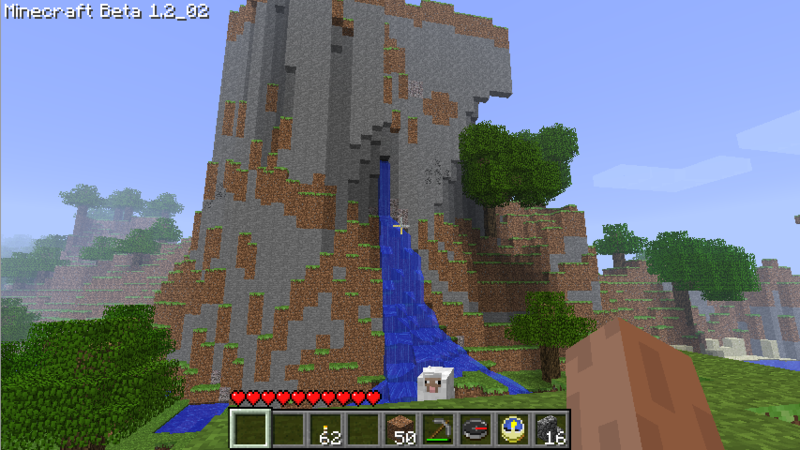 Here’s a somewhat closer view of the waterfall: this was taken from the right side of the spit of land in the previous question. 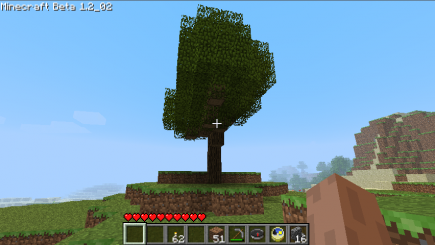 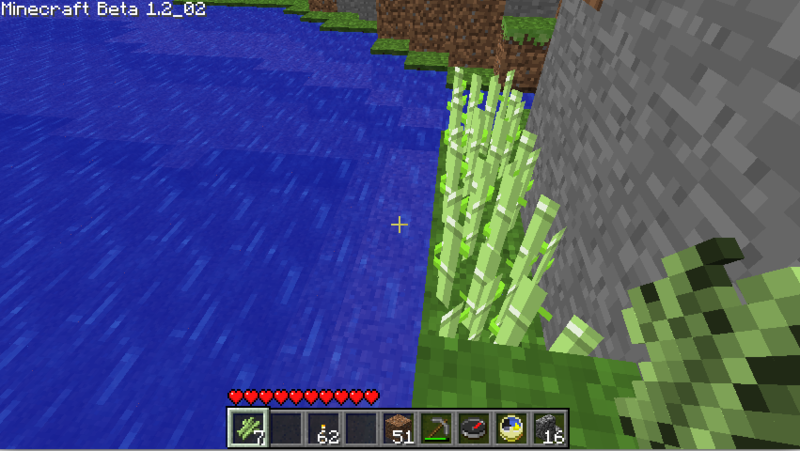 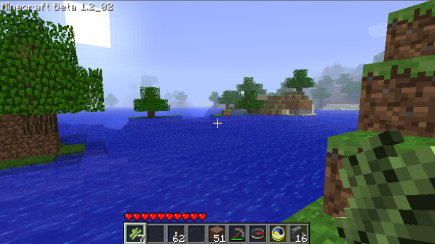 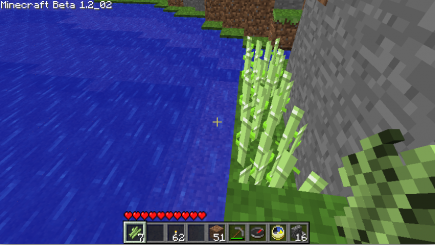 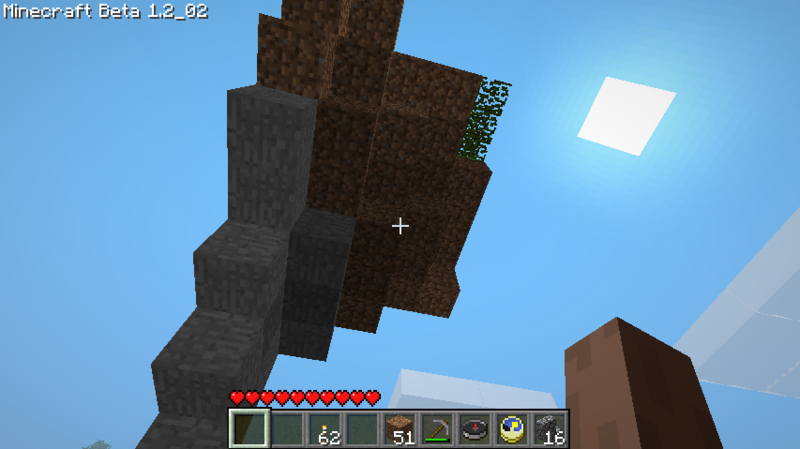 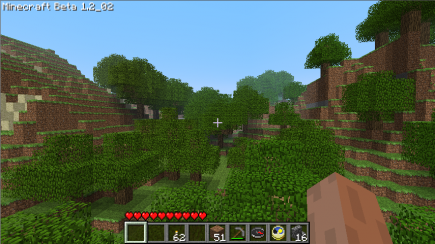 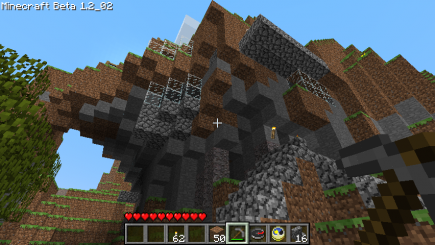 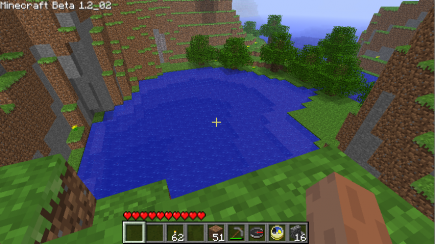 Notice also the dirt/grass block floating in midair: that’s the world’s fault, I didn’t put it there. 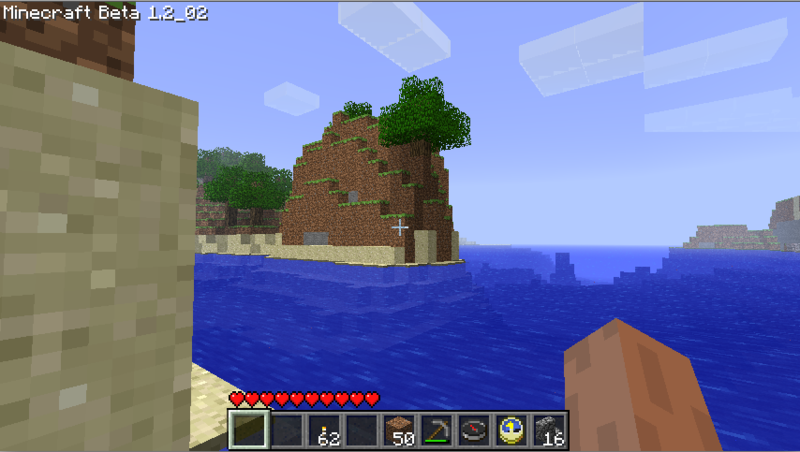 Here’s a look back at the spit of land (which turns out to have a second tree growing on the end). 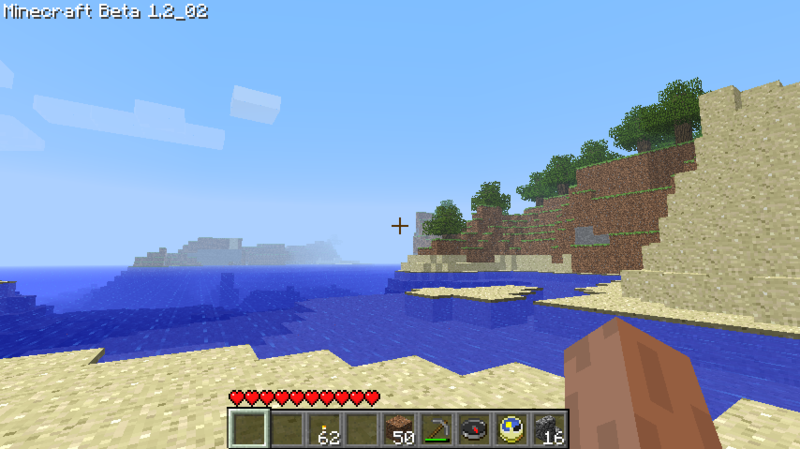 What I really like about this one, though, is the water to the right of the spit of land: it looks like ruins from a former city there underwater. Here are two more views of the waterfall; the sheep surveillance police are here as well, keeping tabs on me. 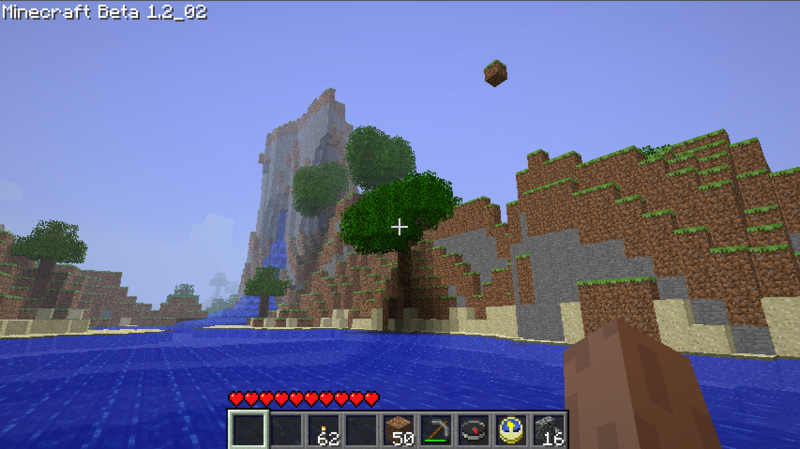 Looking on, we have another spire, and a more substantial floating island; not sure where those floating islands are coming from, but I find them rather charming somehow. and two views of how the game generates trees, one a valley filled with trees and the other a single tree standing proudly alone. I ran into a single square of water around here; Miranda encouraged me to pick it up to create a spring from, but for now I’ve left it alone. And finally, I reached familiar territory. At this point, I was on the other side of my arch, near the ravine. 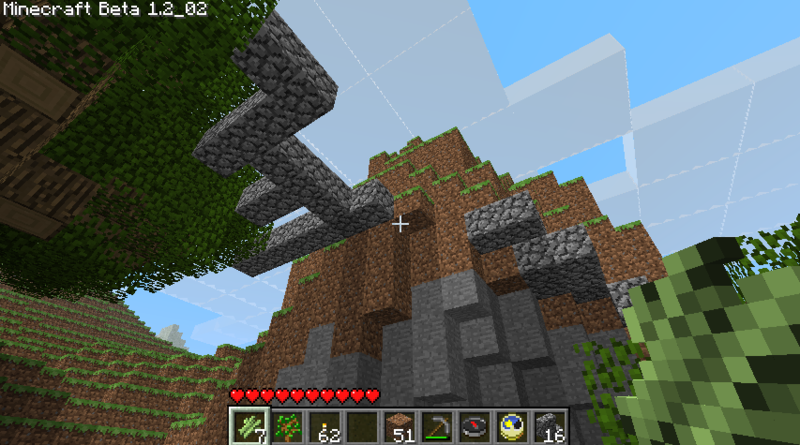 I’d sort of forgotten that, when I initially exited that ravine, I climbed up a hill and built walkways to cross over to some nearby trees; but they’re still there, floating in midair. And here’s the back of my home arch, with the second and third floor windows visible. 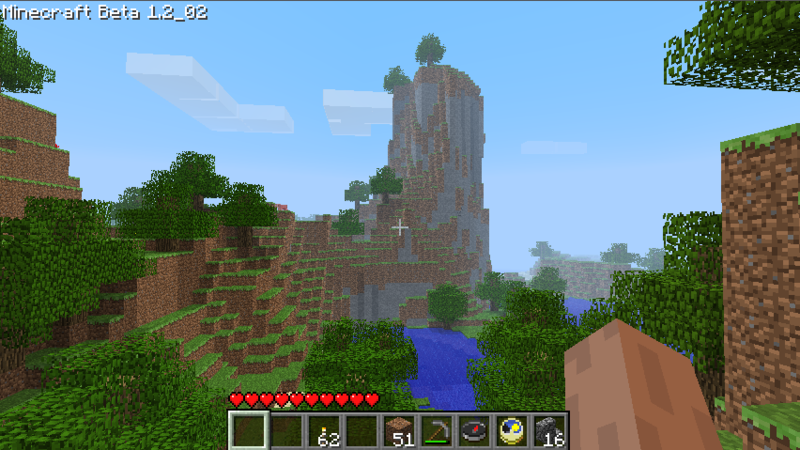 A neat trip, with some lovely scenery: it makes me want to explore the area more but not actually build anything there, because I’m afraid that whatever I build would mar what is there now.